Gluten intolerance is another name for celiac disease -- a disorder in which gluten, a protein in wheat, rye and barley, damages the lining of your small intestine and limits nutrient absorption. About one in 133 people in the United States have it, according to the National Digestive Diseases Information Clearinghouse, many of whom experience constipation. Fortunately, both conditions can be managed through lifestyle changes. For best results, seek guidance from your doctor or dietitian. Constipation is characterized by infrequent or difficult-to-pass stools. Roughly 32 percent of the over 5,000 participants in the 2003 Canadian Celiac Health Survey reported constipation as a symptom before diagnosis. In other words, consuming gluten when you are intolerant can trigger constipation. Once you are diagnosed, treatment involves a gluten-free diet. Because many gluten-free diets lack fiber, which promotes digestive function, constipation can also occur as a complication of your diet. To relieve constipation associated with gluten intolerance, the Canadian Celiac Association suggests a strict gluten-free diet that emphasizes fiber-rich foods. To prevent digestive side effects, such as gas and bloating, increase your fiber intake gradually. Because a low-fluid diet can also cause or worsen constipation, you should also consume plenty of water or other hydrating fluids. Eating 20 g to 35 g of fiber per day promotes soft, bulky stools. E.A. Steward, a registered dietitian with the National Foundation for Celiac Awareness, recommends meeting your fiber needs by eating four servings of vegetables, four servings of whole gluten-free grains, two servings of fruit, one serving of legumes and one serving of nuts daily. Naturally gluten-free, fiber-rich foods include beans, lentils, split peas, popcorn, wild rice, amaranth, quinoa, millet, flaxseeds, artichokes, raspberries and pears. Hydrating options include water, herbal tea, fresh juices, milk, fresh fruits and vegetables and broth-based soups. 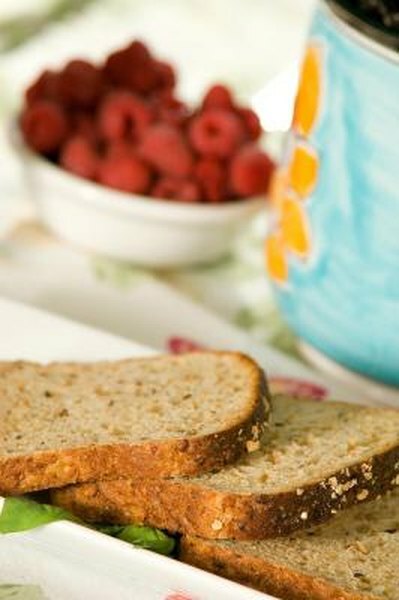 Many gluten-free cereals, breads and pastas lack fiber, according to Colorado State University Extension. Avoid high-protein, low-carbohydrate diets as well. Although many low-carb foods, such as fish, meat and cheese, are gluten-free, avoiding carbohydrates can cause constipation and other digestive problems. If a high-fiber, gluten-free diet and ample fluid intake fails to improve your constipation symptoms, see your physician. According to Stewart, your physician may recommend a magnesium supplement, which can provide a laxative effect. Alternatively, your physician may recommend a mild laxative or a gluten-free fiber supplement.